Going wireless is the next major leap for PC-powered VR headsets like the Oculus Rift and HTC Vive. Looking to take a part in this AMD has announced it is acquiring Nitero, a company that builds wireless chips for streaming virtual reality content from desktop computers to headsets. Nitero’s main innovation is a beamforming millimeter wave chip to allow for 60GHz wireless communication between the headset and a computer. 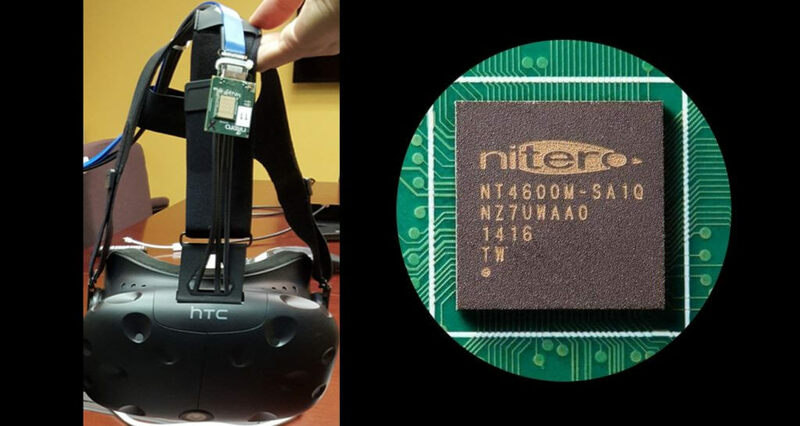 According to AMD, millimeter-wave wireless systems are normally limited to line-of-sight applications, but Nitero's beamforming technology allows for a targeted transmission, enabling a low latency cable-free solution for moving VR headsets. AMD has made it clear it doesn’t intend to start manufacturing headsets itself but the acquisition helps it secure another piece of the VR puzzle, which it expects will continue to push GPU development needs. AMD also ensures their seat at the table as Nitero is already engaged with many HMD makers. "Unwieldly headset cables remain a significant barrier to drive widespread adoption of virtual reality," said Mark Papermaster, AMD chief technology officer and senior vice president. “Our newly acquired wireless VR technology is focused on solving this challenge, and is another example of AMD making long-term technology investments to develop high-performance computing and graphics technologies that can create more immersive computing experiences." AMD didn't disclose the terms of the deal. There are many challenges involved with the wireless transmission of VR data, the biggest being maintaining acceptable visual fidelity, having little to no latency, and motion tracking. Aside from Nitero there are at least four other companies working on wireless VR, including Immersive Robotics, KwikVR, NGCodec, and QuarkVR, while HTC Vive's TPCast solution set for a worldwide rollout in Q2.